First, the good news! Ear mites in cats are not as common in Colorado as in other parts of the country. But, yes, your cat can still get them in the Castle Rock area. We’ve put together some helpful information to introduce you to the wonderful world of ear mites in cats. And if you live in Castle Rock or Denver, you’re always welcome to give our veterinarians a call: (303) 688-3757. Cat ear mites are tiny parasites that get into your kitty’s ear canal – typically through direct contact with another infected cat. Ear mites prefer cats as their “hosts.” While ear mites can affect dogs too, they’re much more common in cats. Have a cat that spends a lot of time outdoors with other cats. Ear mites are almost too small to see. They’re about the size of a pinhead. Be scratching at her ears more than usual. Be shaking her head frequently. It’s worth noting that there are other health issues that have similar symptoms to ear mites. For example, it’s possible your cat may have an ear infection instead. It’s important to get the diagnosis right because treatment for ear mites is different than treatment for a bacteria-caused or yeast-caused ear infection. Your cat is likely very uncomfortable. Ear mites can cause damage to your cat’s ears if left untreated. 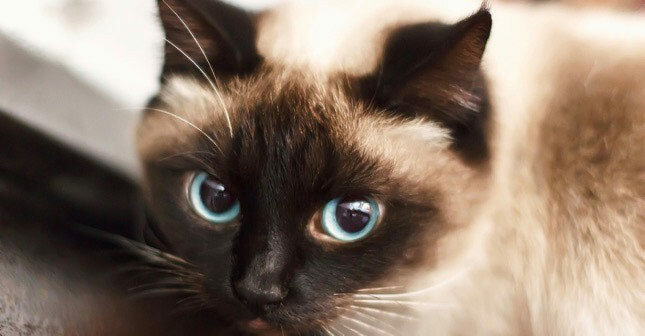 Your cat is highly contagious and can be a source of infection to other animals. When you bring your cat into our veterinarians, we’ll do an exam and check for mite debris. We’ll typically run a “cytology” — a quick lab test to confirm that mites are the issue. There are several ways you can treat ear mites in cats. The most common method is a topical treatment you put in your cat’s ears. Your cat’s mites should clear up in four to six weeks. We know you’re eager to have your feline friend feeling healthy again! To learn more, check out this article on cat ear mites from Cornell University’s College of Veterinary Medicine. Is your kitty having ear issues?